I have the same Hexie disease! Funny you should post on this. I’m taking a break from the hand quilting of a large lap sized “grandmother’s flower garden quilt” that my husband’s grandmother hand pieced many years ago. She finished the top, but then nothing else and no one else in his family quilts, so I volunteered to applique it onto some borders (so I wouldn’t have to bind it around all the hexigons) and am now 17/75 flowers done with the quilting… and at the rate I’m going, it’s going to be a while until I finish, too! Her hexigons weren’t that small though, maybe 1 inch finished? Yours are beautiful, though! I, too, am crazy with the hexagons! It’s a great on-the-go project. 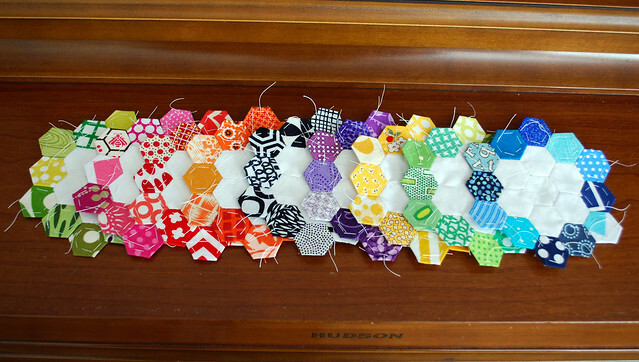 We vacationed in Michigan last week and I took my hexies and worked on them in the car and on the beach. 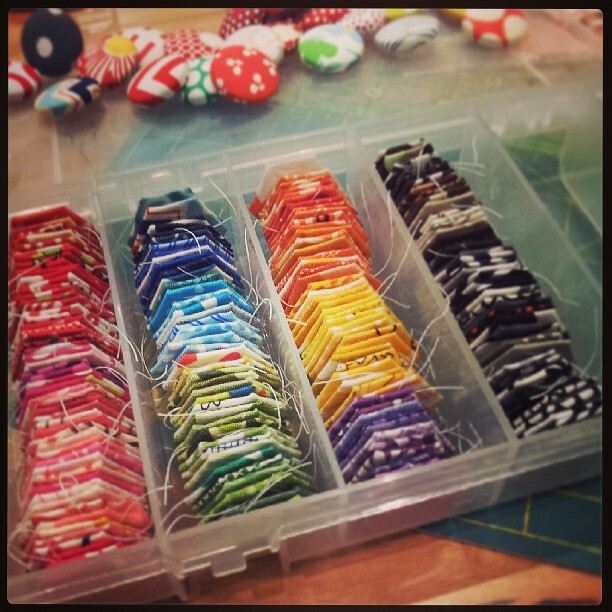 I didn’t get as far as I’d hoped but I did get about 100 hexagons made. 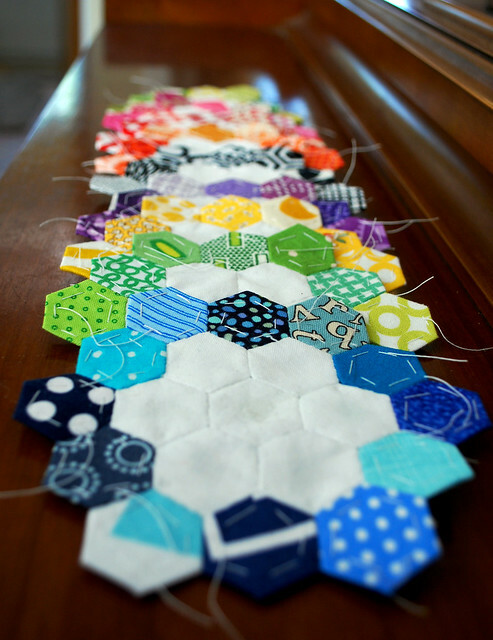 I’m much quicker at making the hexagons than I am at sewing them together. What size are your hexagons? Mine are 2 inches. 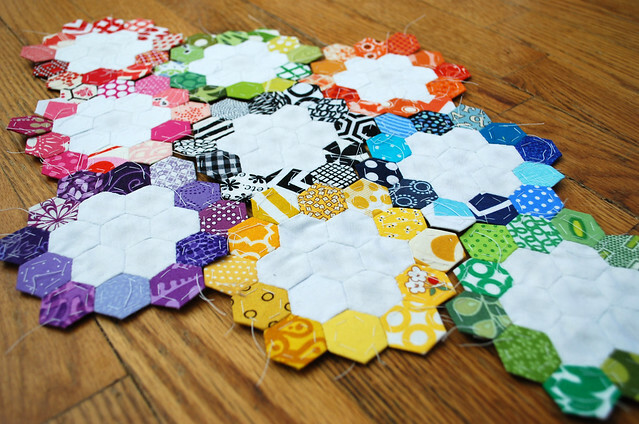 I created a template and I’m happy to share it – it’s on my blog here: http://www.couplemorehours.com/2013/04/i-am-starting-hexagon-quilt.html I copied 20 sheets of the template onto card stock.